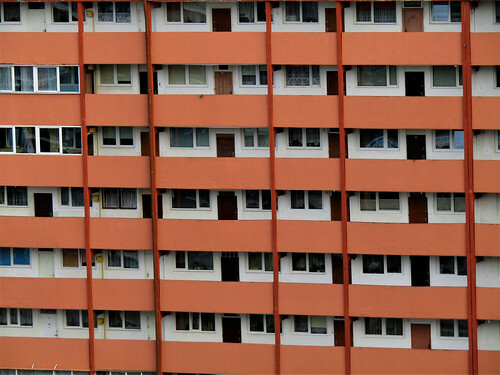 This might not be on everyone's list when visiting Gdansk, but when you're in the neighbourhood it's a nice extra to see. 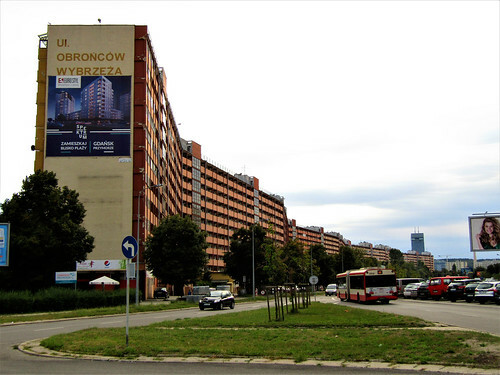 The building is also located close to the Ronald Reagan Park and the Przymorze Shopping Centre. 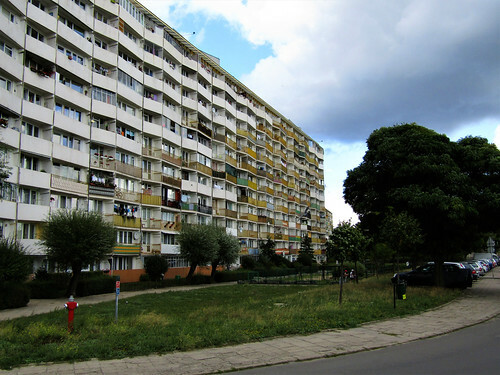 In Gdansk you can find more of these types of buildings, called Falowiec, in the late 1960s and 1970s a total of 8 were built. 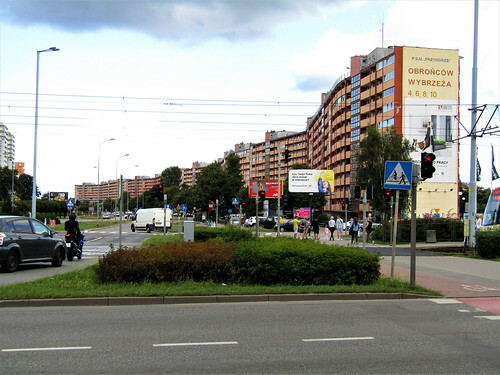 The Falowiec is characterised by its length and wavy shape. 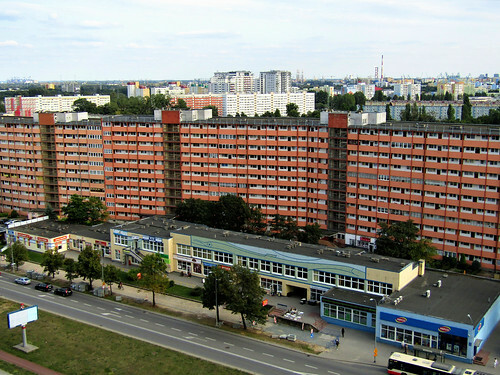 This particular building, located at Obrońców Wybrzeża street in Gdansk, has a lenght of around 860 m. This makes it the longest residential building in Poland and one of the longest in Europe. 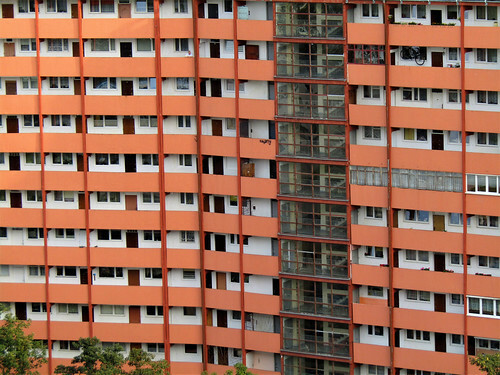 It's estimated that around 6000 people live here in more than 1700 apartments. 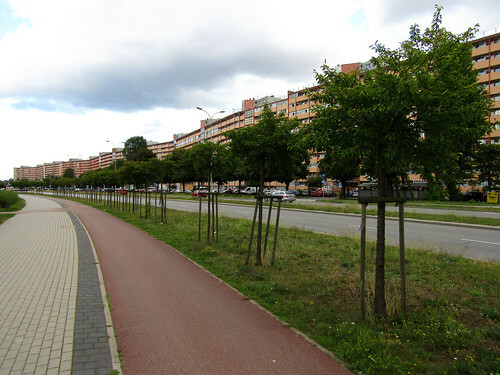 Location: Obrońców Wybrzeża 4-10, 80-398 Gdańsk, Poland. 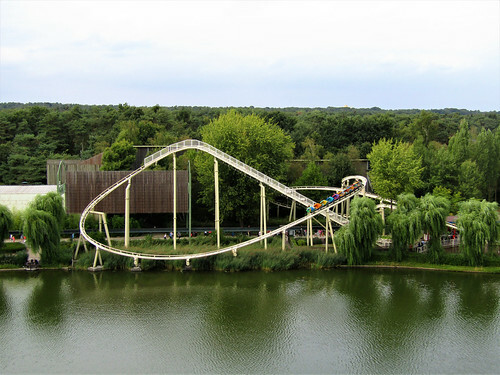 Bobbejaanland is one of the most popular amusement parks in Belgium. 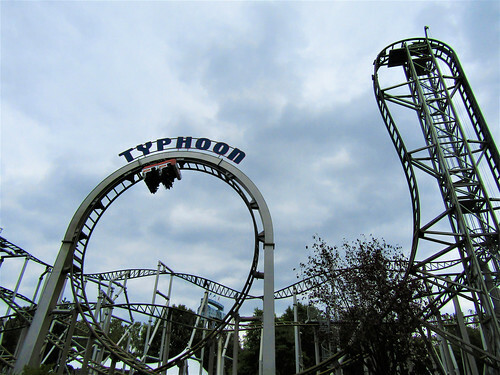 With over 40 attractions and a stunt show it is an ideal day out for the family. 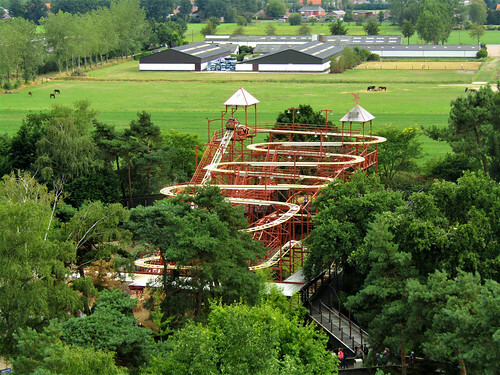 The park was named after Bobbejaan Schoepen, a singer and entertainer who founded Bobbejaanland in 1961. 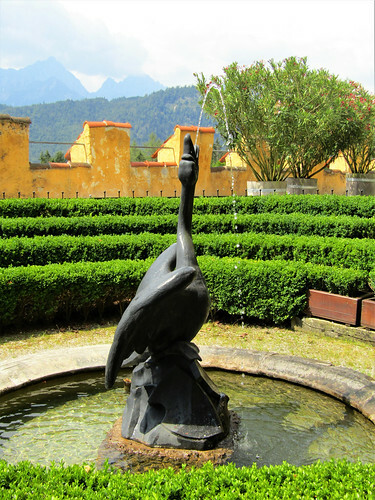 Since 2004 the park is owned by Parques Reunidos. 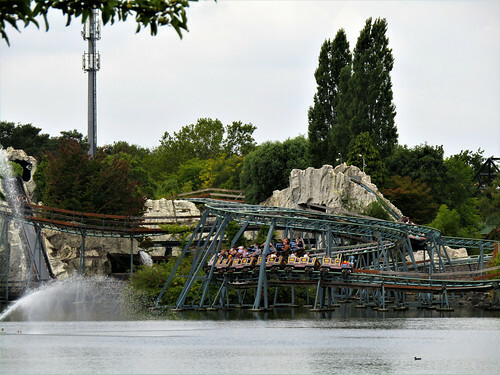 Highlights of Bobbejaanland include the Dream Catcher, Typhoon, El Rio, Sledge Hammer and Mount Mara. 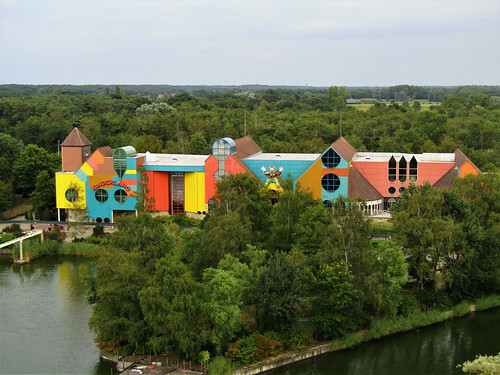 For the younger childeren you can find here Kids Country, lots of smaller attractions and the rollercoaster Okidoki. 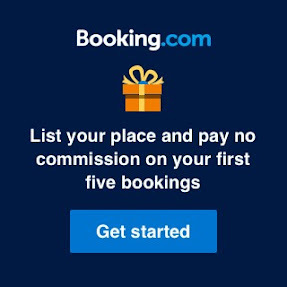 Location: Olensteenweg 45, 2460 Kasterlee, Belgium. 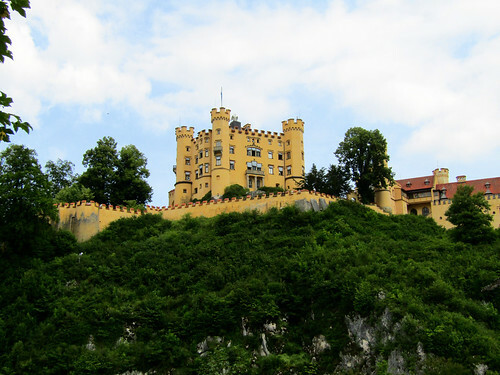 Hohenschwangau Castle is also located in Schwangau like Neuschwanstein Castle. 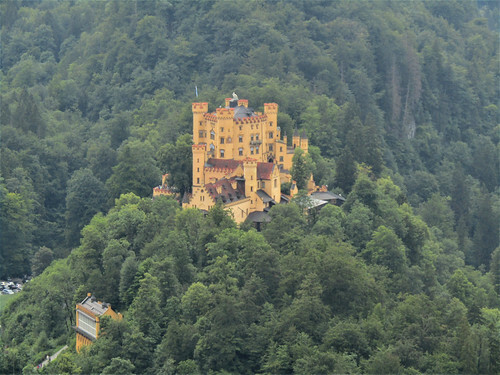 It is lesser known than the fairytale castle but definitely worth a visit. 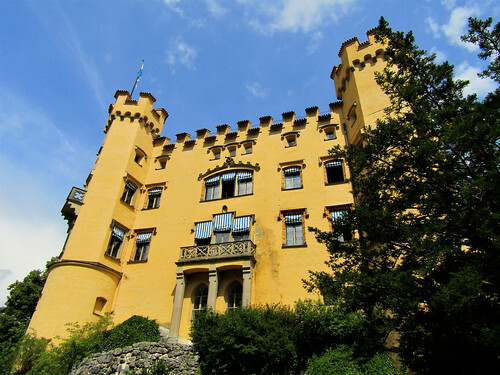 The castle was acquired by King Maximilian II in 1832 when it was badly damagd. 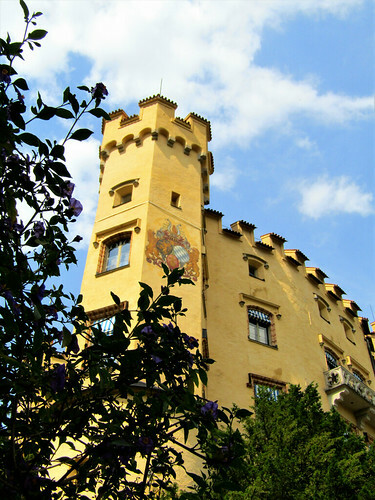 He had it rebuilt and redecorated in neo-gothic style during the five following years. 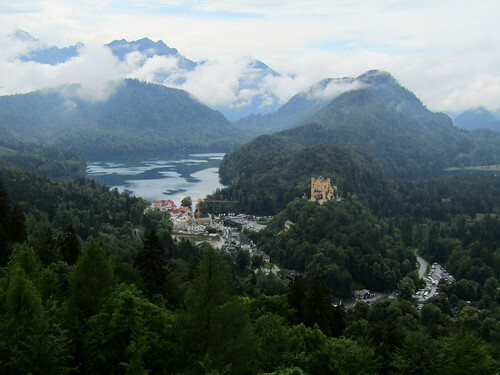 Hohenschwangau Castle is located close to the Alpsee and is easy to reach by a short walk up the hill. It's also possible to take a horse carriage to reach it. 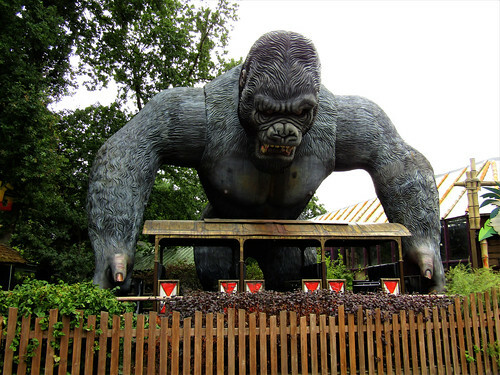 Tickets for the castle can be bought at the ticket centre. 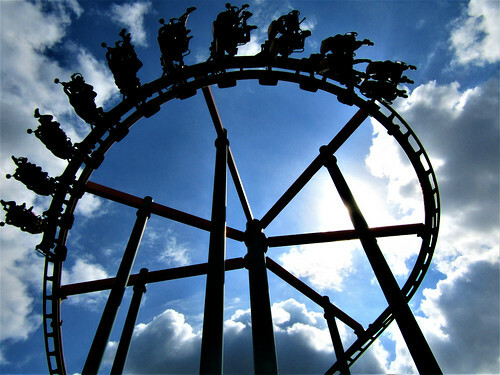 You can buy a combined ticket with visits to Hohenschwangau Castle, Neuschwanstein Castle or the Museum of the Bavarian Kings. 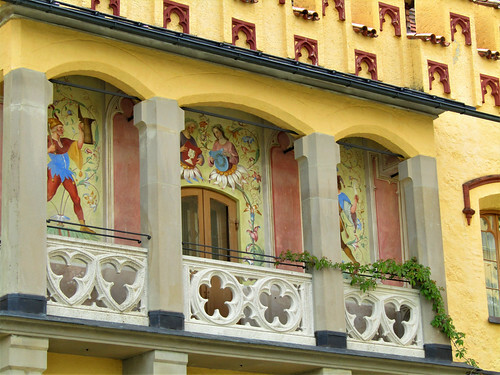 Location: Alpseestraße 30, 87645 Schwangau, Germany. 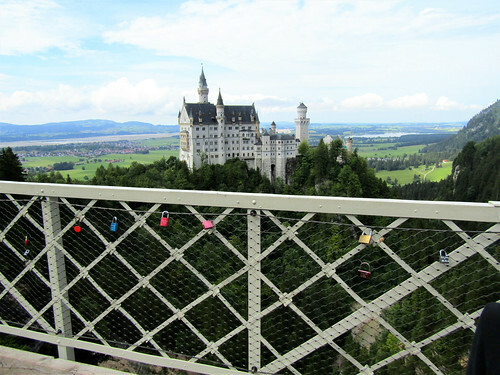 The Marienbrücke(Queen Mary's bridge) close to Neuschwanstein Castle offers the most beautiful and stunning views of the castle. 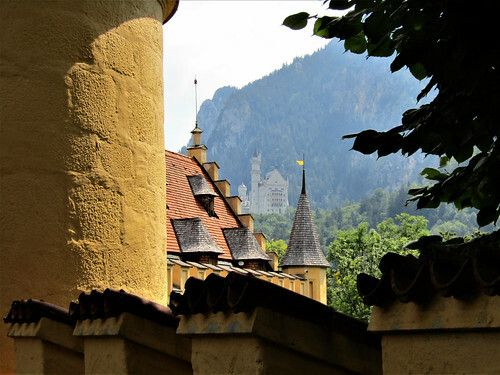 It's a short walk uphill from the Neuschwanstein, only around 15 minutes, just follow the signs. 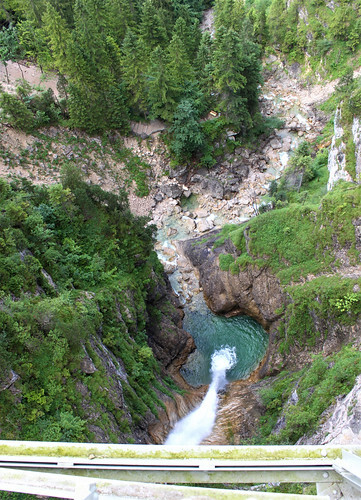 There's also a bus which stops close to the bridge and departs below in Schwangau at parking P4. 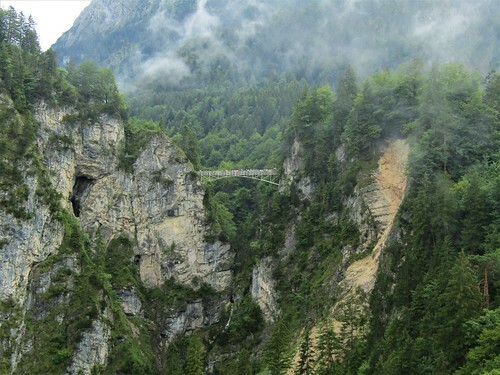 The bridge itself was constructed in 1845 by order of King Maximilian II over the Pöllat gorge. In 1866 King Ludwig II had the bridge improved with an iron structure to admire his new castle. 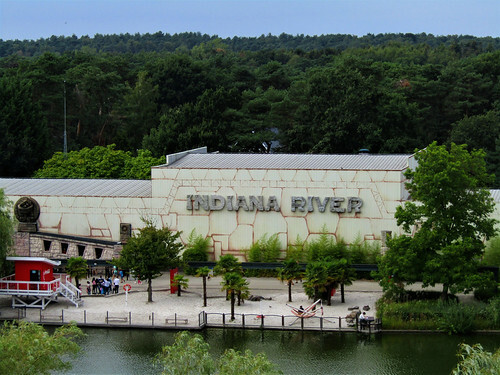 The bridge was named after Queen Marie of Prussia, the mother of King Ludwig II. 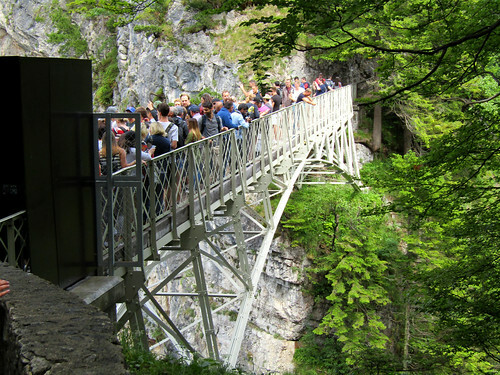 Keep in mind that the bridge is a very popular place for tourists and that it can be a bit crowded. Take your time and try to go to the end of the bridge, here are fewer people.